At Hourglass Vintage in Madison, Wisconsin, every item in the boutique has a story to tell . . . and so do the women whose lives the store touches. A small-town girl with a flair for fashion, Violet Turner had always dreamed of owning a shop like Hourglass Vintage. But while she values the personal history behind each beautiful item she sells, Violet is running from her own past. Faced with the possibility of losing the store to an unscrupulous developer, she realizes that despite her usual self-reliance she cannot save it alone. Eighteen-year-old April Morgan is nearly five months along in an unplanned pregnancy when her hasty engagement is broken. 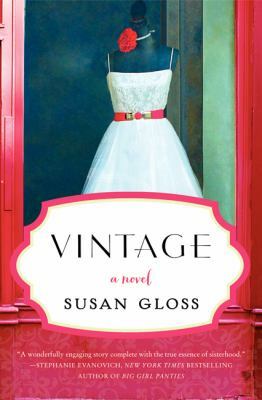 When she returns the perfect vintage wedding dress to Violet’s shop, she discovers a world of new possibilities, and an unexpected sisterhood with women who won’t let her give up on her dreams. Betrayed by her husband, Amithi Singh begins selling off her vibrant Indian dresses, remnants of a life she’s determined to leave behind her. After decades of housekeeping and parenting a daughter who rejects her traditional ways, she fears her best days are behind her – until she discovers an outlet for her creativity and skills with a needle and thread. 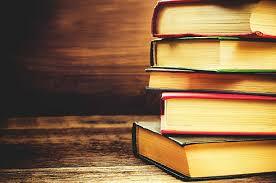 Vintage is also available for check out as a free ebook through the RiverShare Digital Library.